Even if you’re living a healthy lifestyle and eating a clean diet there’s something that we all experience from time to time… CRAVINGS!!! For me, maybe all the time. 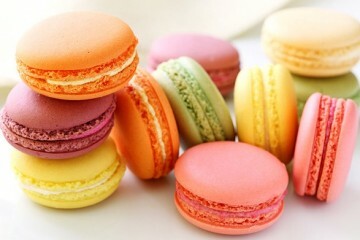 But it’s the cravings for the sweet that can really sabotage our healthy diets. And when that sweet tooth monster starts to come out from the shadows, he wants to be fed. Like, immediately. So what do you do? Easy. 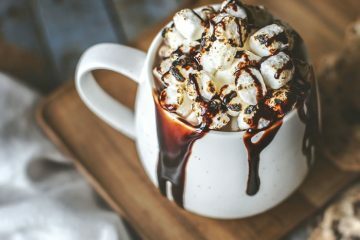 Just have a few go-to recipes that you know are easy, healthy, but also satisfy that craving for sweet. Eating dessert doesn’t have to mean you’re finishing off a pint of ice-cream. 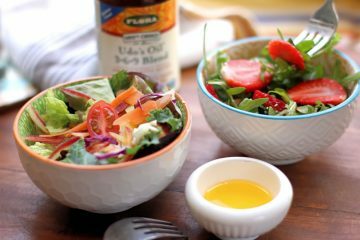 It can still be in line with clean eating and still be super yummy. For today’s recipe, Better Living had the challenge to come up with a recipe using Quest Protein Bars. If you’ve never heard of Quest bars, they are a popular and healthy protein bar that comes in a variety of flavors like blueberry muffin, white chocolate raspberry, cookies and cream and s’mores. Every Quest Protein Bar has 20-21 grams of protein, lots of fiber and they’re also gluten free, soy free and have no added sugar. They also have very few net carbs. -Sweeteners in Quest Bars have little to no effect on blood sugar. For our recipe, we decided on a parfait. 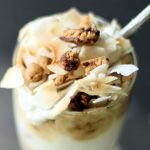 Parfaits not only = yummy, but they can be made very quickly with clean ingredients you most likely have in your fridge and pantry. 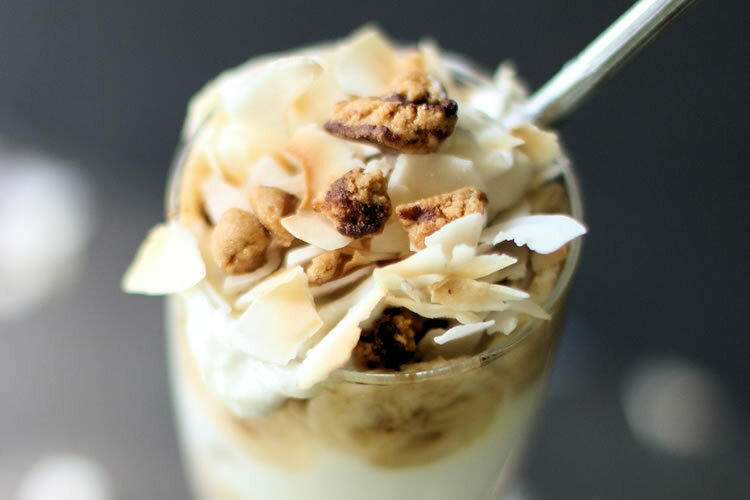 For this cookie dough Quest Bar parfait recipe, all you’ll need is some vanilla greek yogurt, toasted coconut, slices of bananas and cookie dough flavored Quest Bars of course. I highly suggest throwing the bars in the microwave for 8-10 seconds. It gives the Quest bar a softer more cakelike consistency. It also made breaking the bar into balls of “cookie dough” much easier to work with. Simply layer the bananas, coconut, cookie dough balls in between layers of vanilla greek yogurt and in less than 5 minutes you have yourself a totally satisfy and healthy dessert, packed with protein and fiber that will keep you in line with your fitness and diet goals. I was actually kind of surprised how tasty this was and kept going in for more bites. I think we have a winner! This dessert can easily be made ahead in mini jars for a grab and go dessert or breakfast. Of course, you could always just grab a Quest Protein Bar and go as well. Lots of delicious, none of the guilt, convenient and healthy. These are just the things we’re looking for. 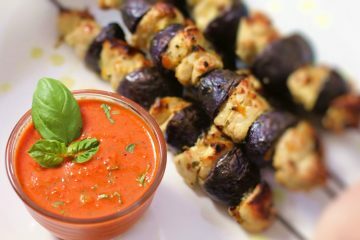 Fast, delicious, lots of protein, low in carbs and healthy. What more could you want? 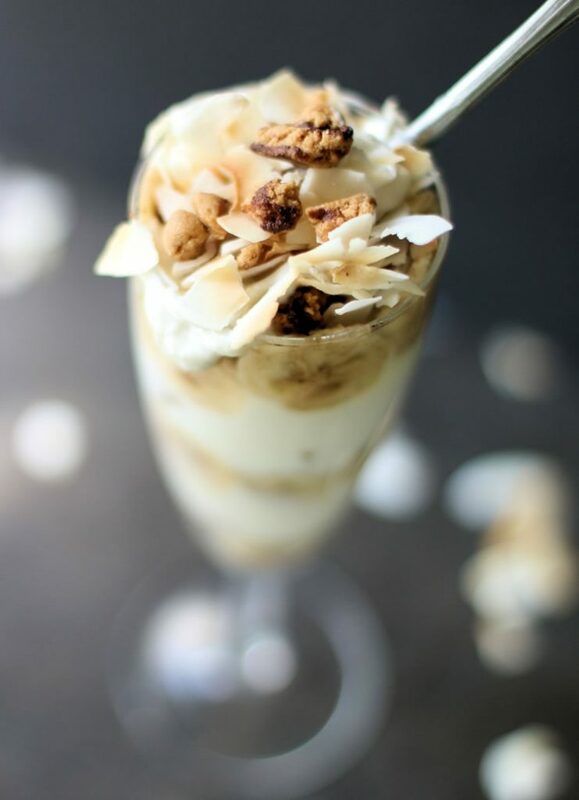 This Toasted Coconut & "Cookie Dough" Yogurt Parfait made with cookie dough flavored Quest protein bars are a simple and satisfying dessert that will keep you eating clean. Take the Quest bar out of the wrapper and microwave on a plate for 8 seconds. Then break into little bite-sized balls of varying sizes. In a clear glass or mini jar add in this order: banana, coconut, cookie dough balls, then Greek yogurt. Repeat. Top with any remaining ingredients left over. Other topping suggestions: nectarines, berries, nuts, chia & hemp seed. 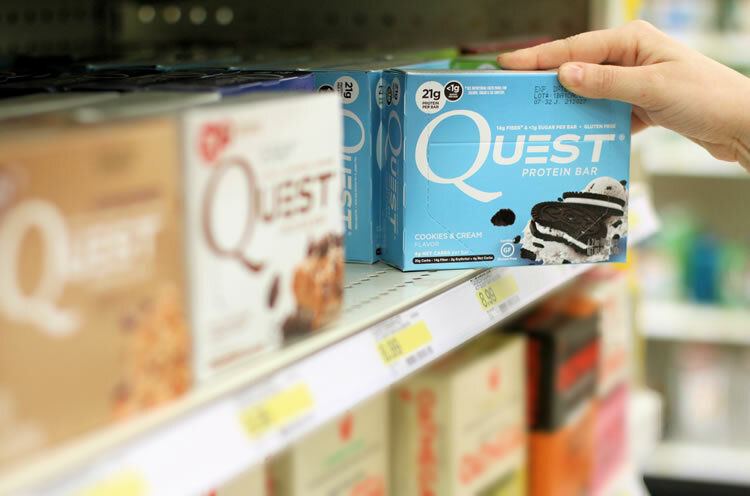 Quest Protein bars are now available at Target. Stop in and pick up a box!